Farmers market season is in high swing, with markets open at least a few hours a week in towns and villages throughout Cayuga County. These markets are great places to get the freshest local products, mingle with other shoppers and support the local economy. The atmosphere of a farmers market is often festive and a great way to experience local culture by getting to know the hard working people that make their living by cultivating the foods we enjoy. From the freshest fruits and vegetables to locally made cheeses and breads you can taste the best that the Finger Lakes has to offer at Cayuga County’s farmers markets. Each of Cayuga County’s markets has it’s own specialties and we are lucky enough to have these wonderful markets sprinkled throughout the County. Located on State Street across from Curley’s restaurant this market is open through October Tuesday, Thursday and Saturday 8 a.m. to 2 p.m. Fresh vegetables, fruits, flowers, baked goods and even hand-made jewelry can all be found at the Auburn Farmers Market which is part of the Finger Lakes Sweet Treat Trail. 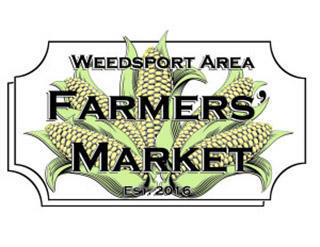 One of Cayuga County’s newer markets, located on the Wells College Softball Field just south of the village, the market is open Saturdays from 9 a.m. to 1 p.m. through the end of October. 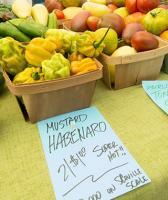 Situated in the middle of rich agricultural lands, there are always a variety of farm fresh products to purchase. Located in Kinney’s Parking Lot on Main Street, this farmers market features organic and non- organic vendors that sell produce, meat, baked goods and event wine. Open every Thursday through October 10 a.m. to 5 p.m.
der the shelter prepared by Orofino’s Kitchen at Owasco Market. This market really has it all! This unique market holds a delicious chicken BBQ every week, special children’s events and featured fruit and veggie nights! Entertainment, antique tractors and vintage cars even show up from time to time. Located in Schasel Park on Route 31 with a playground and covered pavilion for dining, this farmers market is the place to be on Wednesdays from 3-6 p.m. through September. 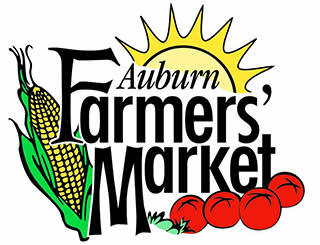 Located in the Village Municipal Lot on East Brutus Street on Wednesdays from 3:30-6:30 p.m. this market has a weekly roundup of vendors that may feature anything from goat milk soaps and sundries to fresh vegetables, homemade baked goods, jams and jellies.